Make-up mavens! Ever wanted to know what this cleanser might do for you, or how that moisturizer might provide that hydration you sorely need, but didn’t want to splash out the cash? We know precisely how you feel – that’s why we’ve rounded up some places to get makeup samples to try before you buy. The best part? Most of ‘em are free! This old-world apothecary hailing from NYC’s East Village, with more than one century worth of experience, has it bad for the number 5. Just head down to any one of their outlets in Singapore (they have 11, so you’re sure to find one near you! ), and receive a 5-minute skin consultation, followed by 5 complimentary samples that are customized to the needs of your skin. 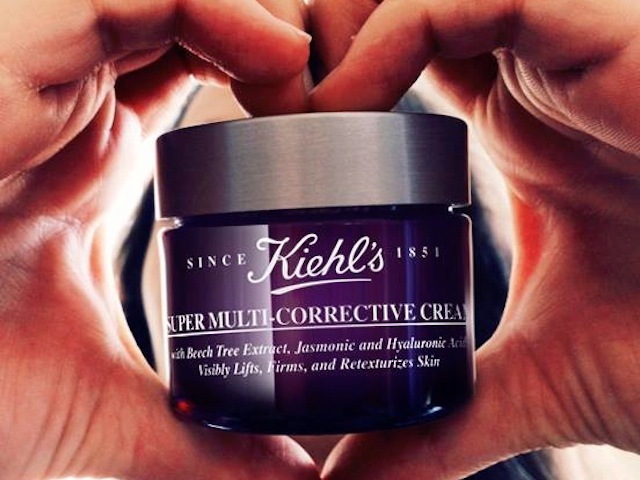 To get your free samples, see Kiehl’s. If your skin is crying out for hydration, try the French luxury skincare brand’s Aquasource range. Get a 3-day trial kit of Biotherm’s Aqua 3-Step daily skincare – cleanser, toner, and moisturizer – that promises to hydrate 5 layers skin-deep. To get your free samples, see Biotherm. If you’re looking for anti-aging products, the L’Oreal Revitalift Laser X3 supposedly rivals the efficacy of IPL (intense pulsed light) treatments, which corrects wrinkles, refine pores, and replumps skin. Get a trial pack of the eye cream, serum, and face cream – it doesn’t get any better than this! To get your free samples, see L’Oreal. Dubbed a facial in a bottle, this gentle Japanese exfoliant removes (unwanted) dead skin effectively without causing undue stress! Suitable for all skins types, even those with sensitive skin, it’s a complement to any facial regime. To get your free samples, see Cure. Give your skin the perfect 10 it deserves with Vaseline’s Perfect 10 lightening and anti-aging lotion. It reduces dark marks and visibly removes fine lines, among, well, the 10 awesome things it does. All you need to do is like their Facebook page. To get your free samples, see Vaseline. If bright, glowing skin is what you’re hankering after, we think Hada Labo’s Whitening Lotion is worth a try. The ingredients include natural bearberry (arbutin), hyaluronic acid, and Vitamin C, which serve to moisturize and brighten simultaneously! To get your free samples, see Hada Labo. Like Bio-essence’s Facebook page to get a free sample of the Face Lifting Cream, enhanced with incredibly expensive sounding royal jelly! Claimed to have sold 6 million bottles since 2004, only a sample will tell if it’s worth all the hype. To get your free samples, see Bio-essence. Those who have sensitive skin should have heard of Cetaphil by now! Before you invest in their entire range of skincare products (declared to be recommended by more dermatologists than any other brand), like their Facebook page to have a free sneak peek. To get your free samples, see Cetaphil. Make a difference to your skin with Origins Make A Difference Plus Rejuvenating Serum. In this, the amazing re-hydration power of the Rose of Jericho, which returns to life at with just a drop of water – no kidding! – reinforces your skin’s moisture effecting ability. To get your free samples, see Origins. The online multi-brand retailer has jumped into the beauty box business! Get their first box, filled with SK-II, Dr CiLabo, Esthetica, and L’egere products at just $25 – lookin’ good never felt this good because all proceeds will go to the Young Women’s Christian Association latest charitable initiative. Shop the Beauty Fix Box at Zalora. At $19.95 (inclusive of delivery! ), this make-up sample box subscription service just turned 2! Expect luxury beauty samples from brands such as Caudalie, Obsessive Compulsive Cosmetics and Korres, all individual synced to your skin profile and needs. Shop samples online at Bellabox. Join the beauty community at Vanity Trove – read other people’s (really helpful) reviews of the samples you want to try, before you actually get them! Priced at $25 per box, we spy hard-to-find brands like Sebamed, Covermark, Herborist, and Apivita. Shop samples online at Vanity Trove.